Crest Nicholson is transforming the south bank of the River Avon, a short walk from the City's historic core, into Bath Riverside, an exciting new modern residential quarter. 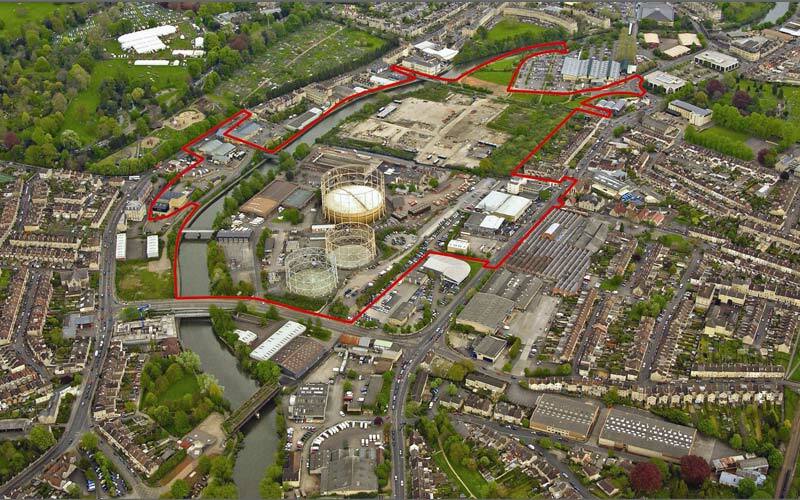 Outline planning approval has been granted for 2000+ homes on the 44 acre site. Construction began in 2011 with the first residents moving in at the end of that year. So far nearly 450 new homes are occupied (205 of which are affordable homes). Crest Nicholson Regeneration has always believed that Bath Riverside is one of the most important regeneration projects in the UK and we are delighted to be making progress in revitalising such an underutilised area of this beautiful city. The western corridor, a former industrial site which has been left derelict for more than 25 years, has undergone an extensive transformation since the beginning of 2011. Our commitment is to create sustainable new communities and deliver high quality housing which meets the needs of modern living. This is a lengthy process, indeed Crest Nicholson Regeneration has been working on Bath Riverside for nearly 14 years already. Even with construction now underway, it will be another 10 years until this important scheme is completed. We are passionate about this city and ensuring that the plans we put forward in years to come reflect the needs of the city as well as pre-empt the demands that will be placed upon it in the future. It has been very rewarding to welcome new residents to Bath Riverside and we look forward to welcoming many more over future years. We are also committed to working with the wider community of Bath, to ensure that this development continues to enhance the city and all the things it has to offer. 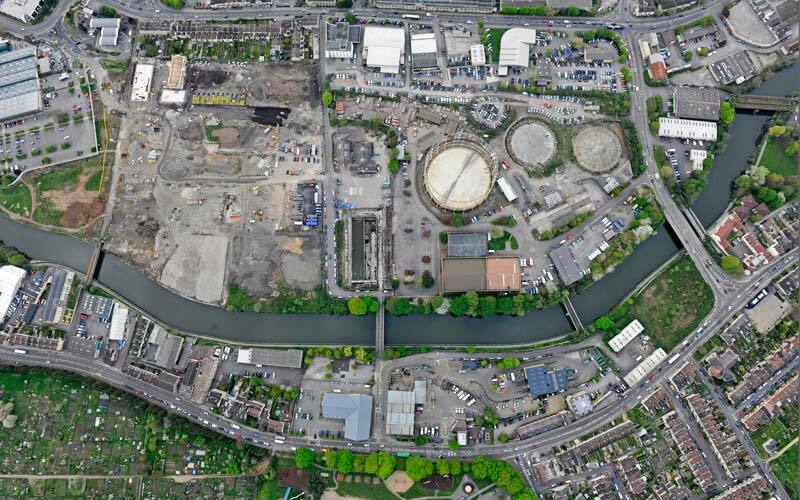 The purpose of this website is to provide you with an update on what has already taken place at Bath Riverside and to inform you of projects that are currently underway. The proposed scheme will see the creation of homes, two parks, a primary school, restaurants, other commercial uses plus health and cultural facilities. 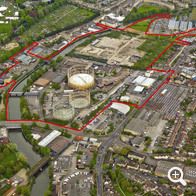 Crest Nicholson Regeneration purchases land at Bath Riverside and works on a masterplan for the site. 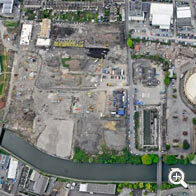 Extensive consultation activity for site masterplan undertaken. Outline Planning Application and Detailed Planning Application for Phase 1 (299 homes) are submitted to Bath & North East Somerset Council. 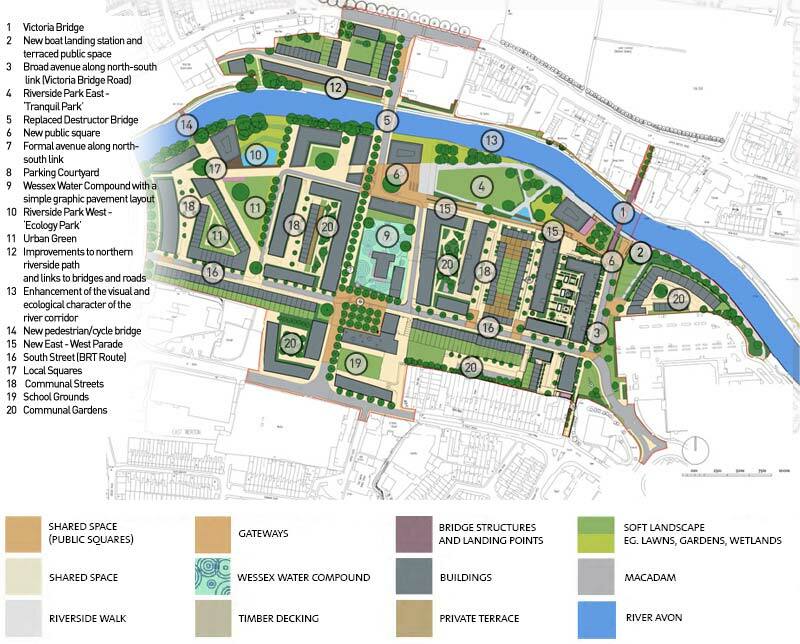 Bath & North East Somerset Council grants approval for the Outline Planning Application and the Detailed Planning Application for Phase 1 public infrastructure work begins. Construction of Phase 1 begins. Art Strategy curator appointed to oversee a development-wide arts project. Stothert & Pitt steam crane restored and repatriated to site. First 48 affordable homes completed and delivered to Curo. Work begins on Detailed Planning Application for Phase 2, including community consultation. Landscaped riverside park area completed. Completion of first new town houses on Percy Terrace and Albert Crescent. Newly refurbished Victoria Bridge reopens. Groundbreaking ceremony for Royal View – one of the landmark buildings adjacent to the River Avon.